From Horton the Elephant—who taught us that “a person’s a person, no matter how small”—comes this sweet, small hardcover book of simple, unrhymed observations about the qualities of kindness. Illustrated with full-color art by Dr. Seuss from the books Horton Hears a Who!, Horton Hatches the Egg, and the story “Horton and the Kwuggerbug,” it’s great for thanking and inspiring people of all ages. Children, parents, grandparents, neighbors, teachers, caregivers, coworkers—you can give one to anyone and everyone who is kind! 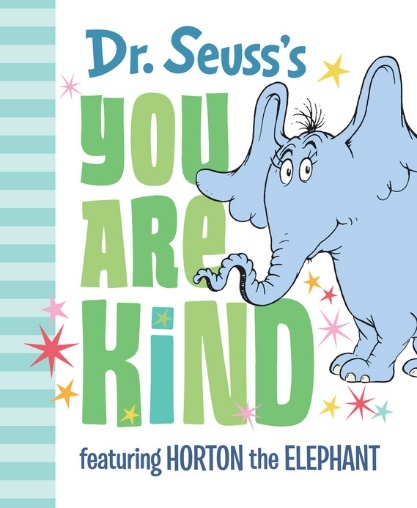 One lucky reader will win a copy of Dr. Seuss's You Are Kind!